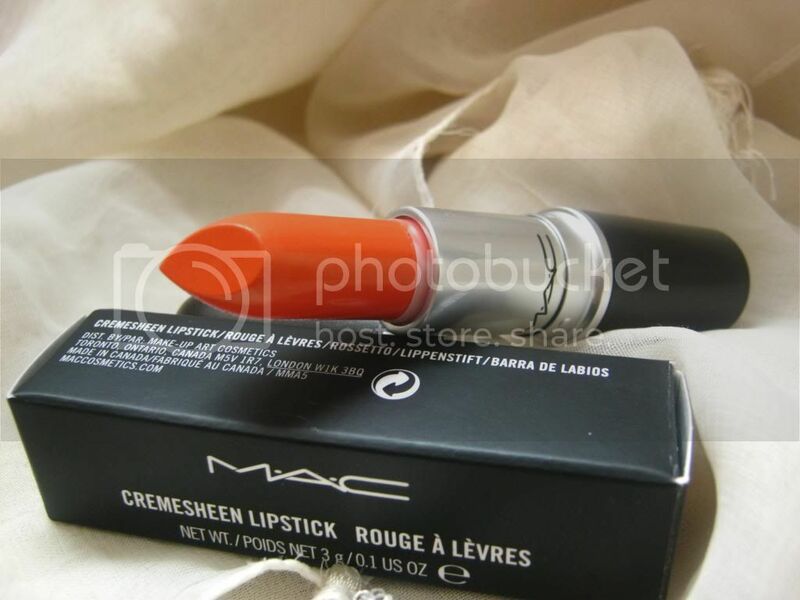 This is another (technically my second) post on a MAC product and I recently won this MAC lipstick (and two other items) from Sam's blog so thankyou so much for sending me these! I would really recommend you guys to go over to her blog which is really lovely (you are most probably following her!) and more than that are her YouTube videos! They're awesome and you guys can check it out here. I was able to pick a lipstick and I chose Saigon summer which is a creamsheen formula. I haven't really heard or seen this on other blogs but I had my eye on it since it came out. The lighting has been TERRIBLE lately because of the weather and its so hard to photograph now. But nevertheless I still try and try until it looks better! As you can see this is a gorgeous orange colour. I thought it would be slightly similar to Morange which is a very opaque red orange colour and this is much more of a peach orange shade and alot toned down and sheer than Morange as well. I do prefer this one though. Its very moisturising because of the creemsheen formula and of course the vanilla scent to it is lovely in my opinion. The colour payoff is great and very buildable. The above swatch is in just one stroke. I do literally pat it on so I don't look crazy. It looks really bright in the tube but because its a creamsheen its much subtle. 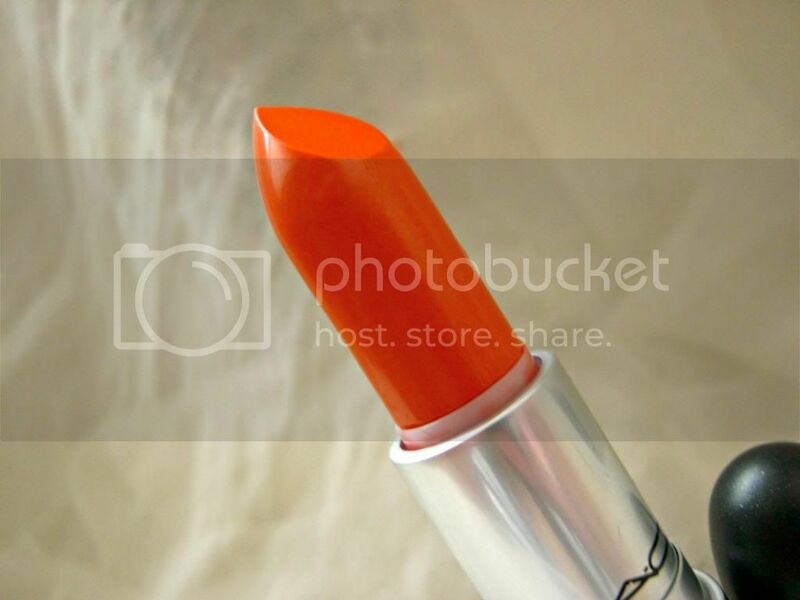 I actually love orange toned lipsticks because they look quite nice with my complexion. 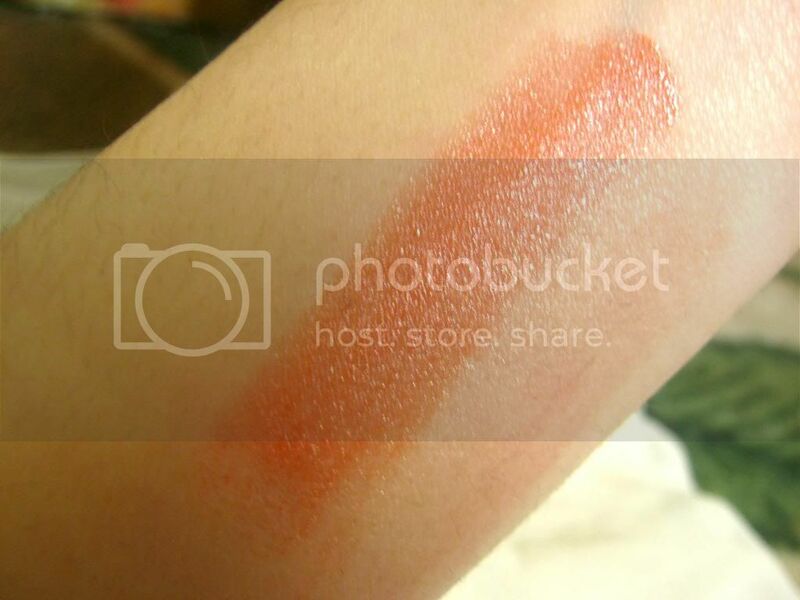 There is some slight gold shimmer to it but its not that noticeable once on your lips. I love this colour! If your a little scared of Morange then check out this one. Its a beautiful colour! Nicee! 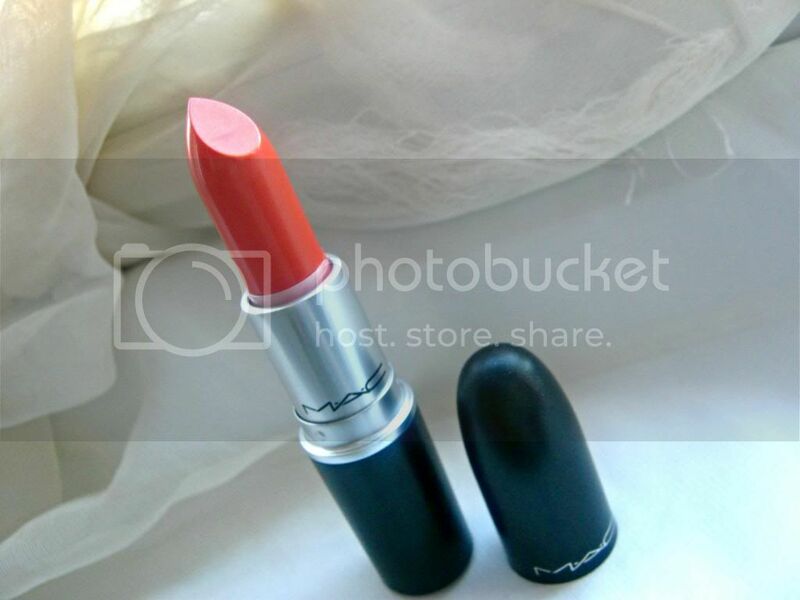 I like MAC lipsticks. 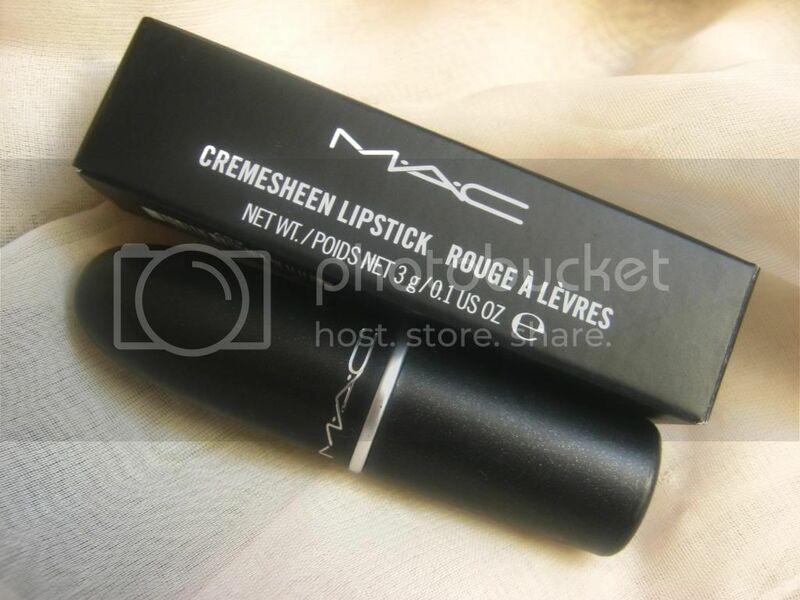 I have never heard of this lipstick until you mentioned it. Even when I went to the Mac store to pick it up for you, the workers didn't know it, they had to find it for ages. Very nice colour, Morange looks awful on me so this may work better. Not a huge fan of creamsheen - I find the texture a bit thick do you? hahaha I have had this on my wishlist for a long time! And I've never seen people blog about it ever! I not a fan of morange either :/ The texture is a little thick. I have too agree but it doesn't really bother me too much. Its a gorgeous colour and thankyou! I love the color! It looks so versatile. I can't wait to read your reviews on the other products you recieved. omg! I LOVE this colour, though I'm not much of a fan of cremesheen :( do you know if they do a acolour like thta, that is slightly more matte or less shear?